Anyone who is looking for a bit of action should come to the city of Arlington. This place is all about excitement, and you will rarely find yourself getting bored here. Whether you're cheering your lungs out for the Rangers and Cowboys, or riding one of the roller coasters at Six Flags, you will always find yourself experiencing plenty of awesome times in this lovely city. Seriously, riding a roller coaster during the weekend sure beats having to stay at home and tending to your garden. If you want to spend your weekend doing things that you enjoy, then leave the yard work to us by taking advantage of our yard care service. We got a mobile app and website that can let you schedule your yard care service in just a few minutes. We also have some of the best and most talented independent lawn pros who are ready to help turn your garden around. We want to take the yard care industry to a whole other level and we are doing that by combining old fashioned customer service with some of the latest in online technology. With Lawn Love you can have that lively green back yard that you've always wanted. 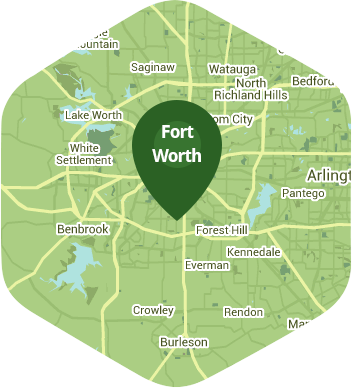 Give us a call at 817-345-6362, or ask for a free quote, and see how our yard care service can help you. An excellent job, better than I could do myself. He treats my yard like it is his own. Lawn looking very neat and trim, proud of the way it looks, thank you!! Was a very nice man and did a great job. The lawn looks amazing! Thank you so much for getting it all done. He worked very hard to insure the job was done with professionalism and skill. Joseph took the time to walk my yard with me and specifically ask what I wanted before beginning work. He made sure he understood everything I had requested and I appreciated this thoughtfulness. My yard looks beautiful! Thank you! Thank you Jose! My lawn looks great. I wasn’t there, but he did an awesome job! The lawn looked great after you mowed! Did a great job. Would like to have this same person that did my yard yesterday to come again for my next service. Michelle always does a amazing job on my lawn. She is awesome I don't want anybody else to cut my lawn but Michelle. Thanks a bunch for all you do!! Best lawn service I have had in over 3 years! He did an amazing job! My lawn (mostly weeds) gets out of control and he did a fantastic job making it look very nice. I appreciate this SO much. He showed up and made the yard look excellent. No complaints at all, very pleased with how the yard looked after he finished! Wonderful job, attention to detail and very friendly and courteous. After initial confusion. He ensured my lawn was taken care of doing alot more then expected by even cleaning up leaves surrounding my home. He cut back the weeds in my empty flower beds. The lawn looks fantastic, and it was such a relief to have it done so quickly and easily on our end. We will definitely be back, and will recommend the service to others! Thank you guys, I know it was hard work! Jacob did absolutely awesome everything was cut perfectly and looked nice and tidy could not be happier. Rated 4.73 / 5 stars in 4,101 Arlington customer reviews. There won't be any rain in Arlington today, which means you'll probably have to water your lawn. Dusk and dawn are the best times to water your lawn (the sun will rise at 6:53 AM and set at 8:02 PM today in Arlington). Average lawn size 4,656 sq. ft.